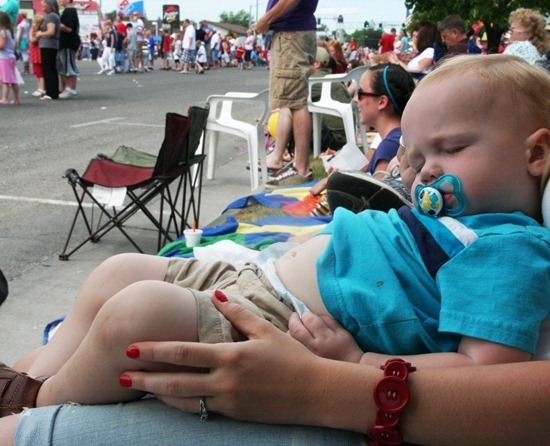 Starting with donuts and a parade long enough to wear everybody out. 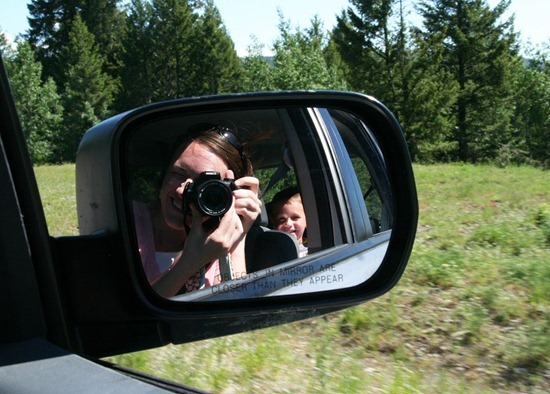 …and if I can coax everyone into afternoon naps I’ll get the binding on this with a few hours to spare before we head out to eat eat eat and watch fireworks….and eat some more. That parade was SOOO long! We didn't last much longer than the dragon. In my opinion, they needed some Vikings to liven things up. I love your picnic quilt. I envy you for your ability to get a binding on that quickly! Looks like you had a fun 4th of July! Love your quilt and hope you can get the binding done. After I saw your tutorial, I made one too. what fabric did you use for the backing? Beautiful, I love those stars! That quilt is looking so perfect! I am crazy about red and blue together! Love that quilt! always with the doughnuts. now i want one! 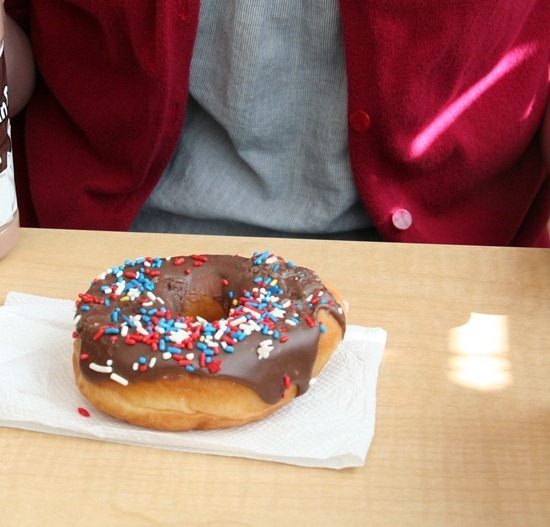 Wow that is the PERFECT fabric on the back.And any day that starts with donuts is a good day. Love the red, white and blue doughnut. Great start to your day ! Your star quilt is beautiful. We had the same donuts from Dunkin…yum!!! Your quilt is looking sooooo good! love the backing fabric, what is it? love the red nails and red button bracelet!! 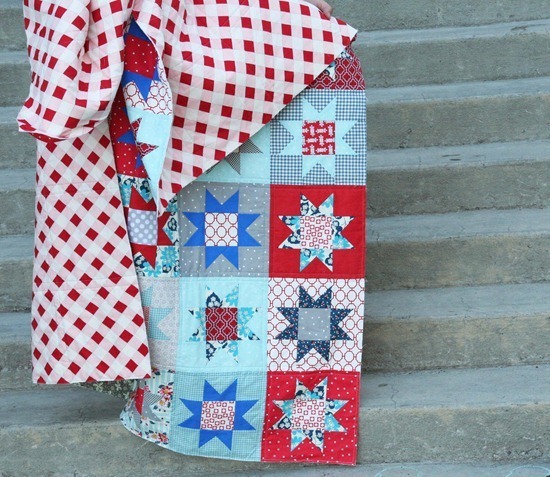 !…oh, and the quilt is a great 4th of July quilt!! love how you added the gray! that is the perfect backing for the perfect quilt! lovely!